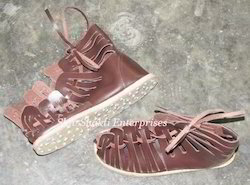 We are manufacturer and exporter of Leather Roman Shoes and sandals. We have wide range of Roman Shoes. 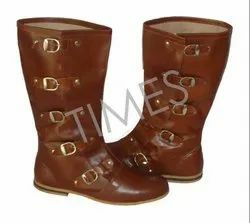 Medieval Boots With Best Quality All work is hand made Re-enactment Mens Shoe Costume Boots.Medieval Leather Boots Renaissance Leather Shoes Armor Costume Boots, Riding Boots Viking Boots, Awesome Style Armor .. Pure Leather Roman boy's shoes. We are devoted towards offering the qualitative range of Medieval Shoes, as per client’s precise need and requirements.